Traveling to a new part of the planet is always a very exciting thing for me. I always start getting this little BUZZ feeling way down in my gut a few weeks before I leave. I try to be as prepared as possible, but there are always things I neglect to think of. 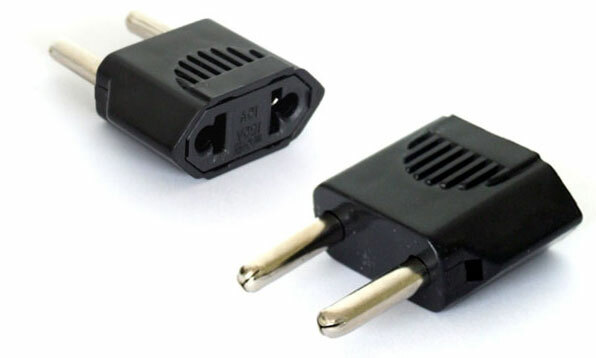 One thing in Serbia that is very different for American tourists is the electrical connection. The United States uses 110 volts while Serbia uses 220 volts. 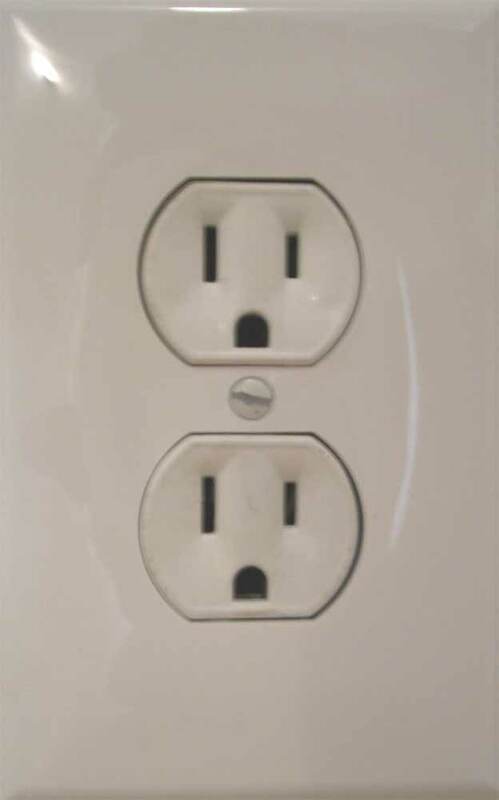 Electrical wall outlets in the USA are made for three posts to enter. You have a positive, negative and a ground. Check the pictures below…. 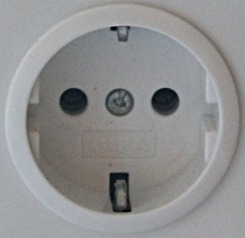 While Serbian outlets are round and made for two circular plugs to enter. See the picture below..
for 200 Dinars or about $2.50 in Kragujevac. 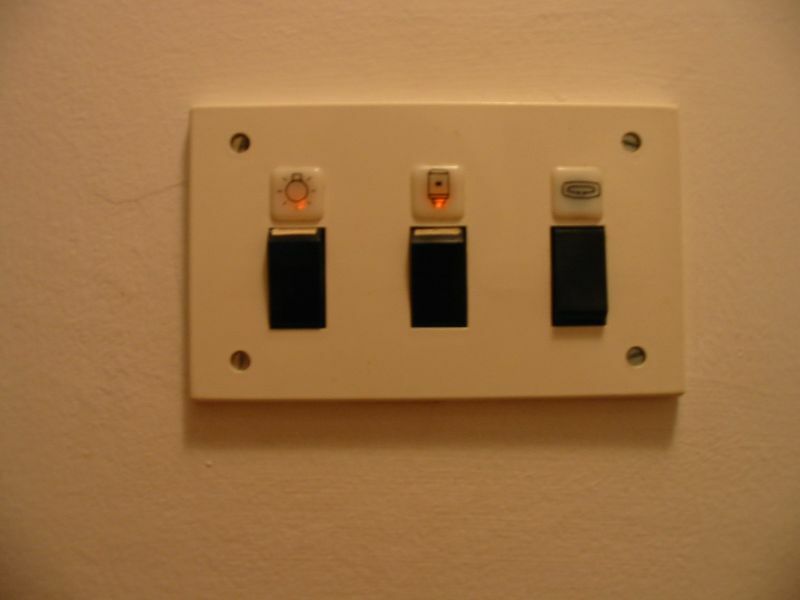 Another big difference I noticed was that the light switch was on the OUTSIDE of the bathroom!!!! I still find myself walking into the bathroom and looking for the switch! I can imagine the fun I would have had if this was a normal thing in the USA. You could shut the light off on your brother while he is in the shower. I think they do it for safety reasons. It is still annoying for me after all this time in Serbia. 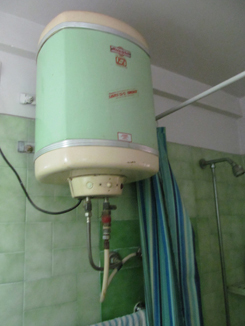 small waterheater that is in a bathroom and kitchen. You might also notice that many of the older homes still have a little water heater in the corner of the bathroom and in the kitchen. You might have to turn on the water heater 20 or 30 minutes prior to getting into the shower, BUT be careful. The water gets so hot it will burn you! Most US homes have a large water heater that heats the water for the whole house and is always running on either gas or electric. It is usually hidden in a separate room. The Serbian way is much more cost-effective and I don’t know why it isn’t used as much in the USA. The worst thing for me is the lack of dryers in Serbian homes. It is very rare to walk into an American home and not see a washer and a dryer. Serbian homes almost NEVER have a dryer. The vast majority of homes have a clothes line hanging outside and dry their clothes on it to preserve energy. This is a pain for a guy like me. I am the guy that likes to decide what to wear at the last-minute and if it is dirty…. wash it and throw in the dryer to dry and take the wrinkles out. That won’t be happening here. It is also difficult to find a laundromat. They do have a few in the larger towns but the smaller towns don’t. Serbia also requires that you go to the local police station within 24 hours of your stay. If you are staying at a hotel, they do it for you. If you are staying with a friend or get an apartment, you must take the owner of the home with you. They will issue you a white registration card. You must keep it with you at all times. Serbian police can stop anyone on the street and ask for your identification. If you don’t have it you can be in trouble. They will ask for the white card if you leave the Serbian borders. Many times they haven’t even looked at mine, but better safe than sorry. 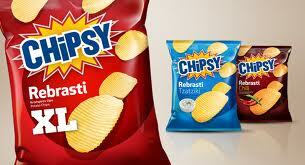 Serbia doesn’t have the large selection of chips, candy bars, soda and snack food that we have. They have lots of different chocolate products, but they lack in the other fields. Maybe that is why you don’t see lots of fat people lumbering down the streets. LOL! 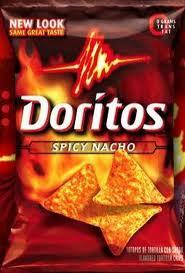 I really miss Doritos!!!! They have their own brand that rules the market in Serbia. It is called Chipsy.. Think ahead!!! 🙂 You will enjoy Serbia all the same. Just a few tips to help you cope !! Serbia is the jewel of the Balkans. 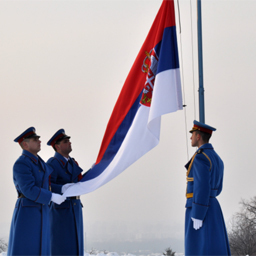 Long live Serbia!!!!! Serbian War Crimes in 1885??? 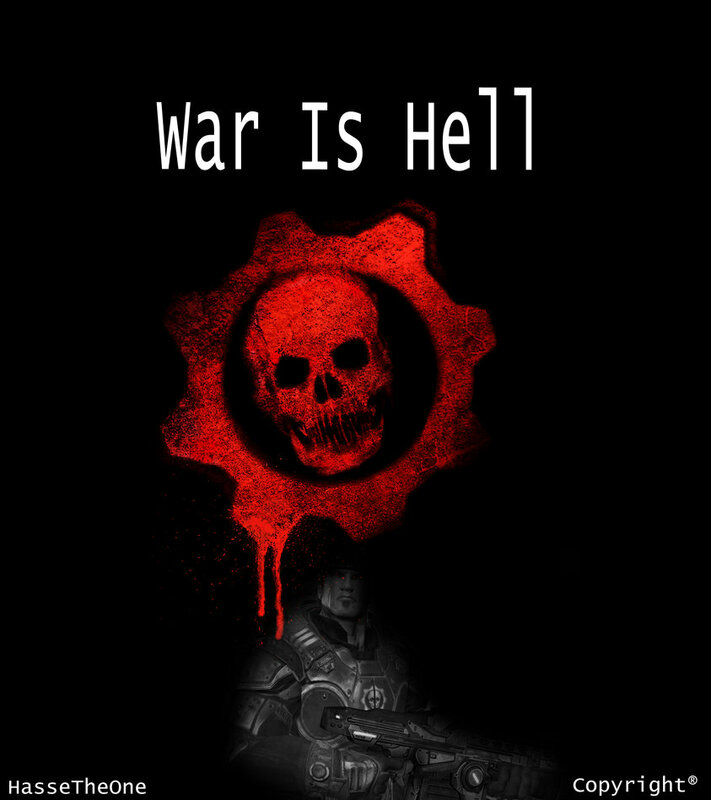 War is a terrible thing. It is usually very difficult to find something positive or a humane act that is worth noting. My country has been involved in many military conflicts over the years. I remember sitting in my Mexican classroom talking with my students about war. They asked me to name all of the wars that the USA has been involved in since The Civil War. 😮 😮 OMG! Could I do it?? I started to sweat and gave up! I asked them the last time they were involved in a war.They quickly replied ” The Mexican American War and our independence” DAMN!!! My country has been through countless wars and conflicts since that war. In 1885 the Serbs and Bulgarians were in a bloody conflict. They had many wounded soldiers on each side. Serbia had founded the Red Cross a few years earlier in 1876. Bulgaria formed their Red Cross in September of 1885!!! They were both being offered additional assistance from the Red Cross organizations throughout Europe, but Bulgaria had a big problem!!! 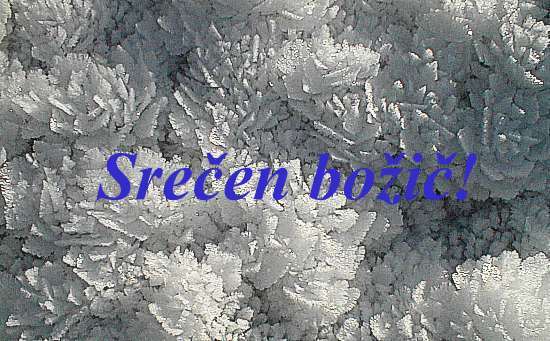 Serbia stood between them and Europe and the Danube River was frozen solid!! They had many wounded and sick soldiers that were in dire need of medical treatment. What did the Serbs do??? Let them freeze, starve and die??? NO! They did something that only was unheard of!!!! They halted the war for one day to allow medical supplies into Bulgaria!!!! 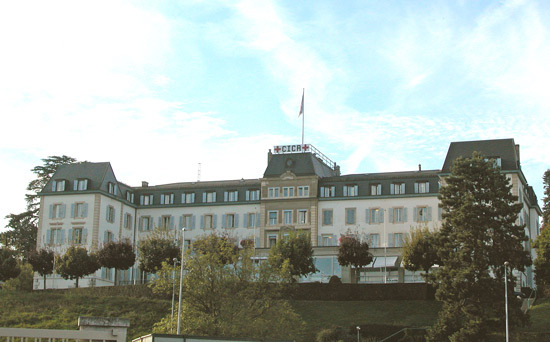 The Austrian Red Cross had contacted the Serbs about the need of supplying the Bulgarians with needed supplies, and it was supported by the group of Serbian surgeons, the Serbian Army Headquarters proclaimed the one-day armistice and opened the state border, allowing the Red Cross entry. The two delegations met near the small town of Pirot, Serbia. That wasn’t the end of it! The Bulgarians were still short of medical supplies and the Serbian opened their medical supplies and shared with their enemy!!!! Serbia is filled with many highly intelligent young people. They are introduced to English at a very young age and have two alphabets of their own. Many are also learning German, French, or Spanish. I wish the education administrators in the USA would require American students to learn a 2nd or 3rd language. The key is starting early! My school in the USA did not offer a foreign language until you were in high school. Many of Serbian friends started studying English in primary school! WOW! The majority of my Serbian friends are in their 20’s. My American buddies always joke with me about that. I am a BIG kid inside, but the main reason is the lack of English from the 30 and up crowd. Prior to the breakup of Communism in 1990, English was not commonly taught in Serbian schools. Many of the adults were taught German or Russian. A-SMYLE is one of the best programs available. It is a FREE opportunity for high school students in Serbia and Montenegro to spend one school year in the U.S. The program is fully funded by the U.S. State Department. Students live with American host families and attend American high schools for one school year (10 months). Students with disabilities are encouraged to participate in the competition. The first time I heard about the A-SMYLE (American Serbia and Montenegro Youth Leadership Exchange) program was from my High School teacher who mentioned it one day. It is an exchange program for High School students from Serbia and Montenegro that are interested in spending one school year in the U.S., it is financed by the United States State Department. You will have different rounds of testing, and if you become a finalist you will be assigned to one of the placement organizations, mine is World Link. Placement organizations are the ones that look for host families, so if there is a host family reading this, I strongly encourage you to contact someone at World Link. When I was selected as a finalist I was so happy and excited! When I first arrived here it all felt so unreal, I couldn’t really wrap my mind around the fact that I was actually in the U.S.! I think it’s still unreal for me. We flew from Belgrade to Frankfurt and then to Washington DC. That was my first time flying, so if any of you are as scared as I was, let me reassure you, flying is the best thing ever! I’m extremely afraid of heights, but you won’t even feel like you’re in the air. My host family is wonderful. They have been so helpful and nice about everything! Everyone here loves foreigners and they are very understanding and will always offer to help you. You probably think that school is very different, and …… yes it is. It’s not better or worse, just very different! I was very scared on my first day of school, but there was no need for that because everyone wanted to meet me and to help me find my classes and everything! Every school is different, and you’d probably have 5-7 classes each term, I per example have 4 classes. I got to pick most of them and it was very interesting to pick a class like Journalism, since you probably know that we don’t have that. I joined school clubs like Drama and Art club, and this, along with sports is the best way to meet people, and it’s soo fun! My favorite part of the day is when we rehears lines for the play. You might be worried about missing your family and friends, and I’m not going to lie to you, it is hard. But, luckily we live in the era of technology and you’ll be able to Skype them and talk on Facebook or email! The important thing is to keep yourself busy. Volunteering is also another great thing, there is something wonderful about helping others and not expecting anything in return, it is one of the best feelings ever, believe me. You will also go to your first football game (not to be mistaken with soccer) and it will be fun even if you don’t know the first thing about it (like me!). These are just some of the great things you would experience if you came here! There are many, many more and I think that everyone who is considering applying for this program should definitely do it because it will be an amazing experience! I would like to use this opportunity to thank my friends and family back home, for supporting me every step of the way (I love and miss you all), my amazing host family, the Schindlers, and my wonderful World Link coordinator here, Sherrie Nisly. The PAX exchange program is good for many countries. It can be pricey, but you can also qualify for a scholarship. Great opportunity to see the world and experience life in another part of the world. PAX School Year and Semester Abroad programs require a GPA of C+ or better and three years study of the language of your chosen country. 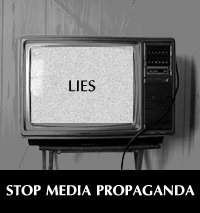 This is one of the most widely used programs for Serbs in the USA. They are a great way for college and university students to experience life outside of Serbia and make money doing it! There are many programs out there. 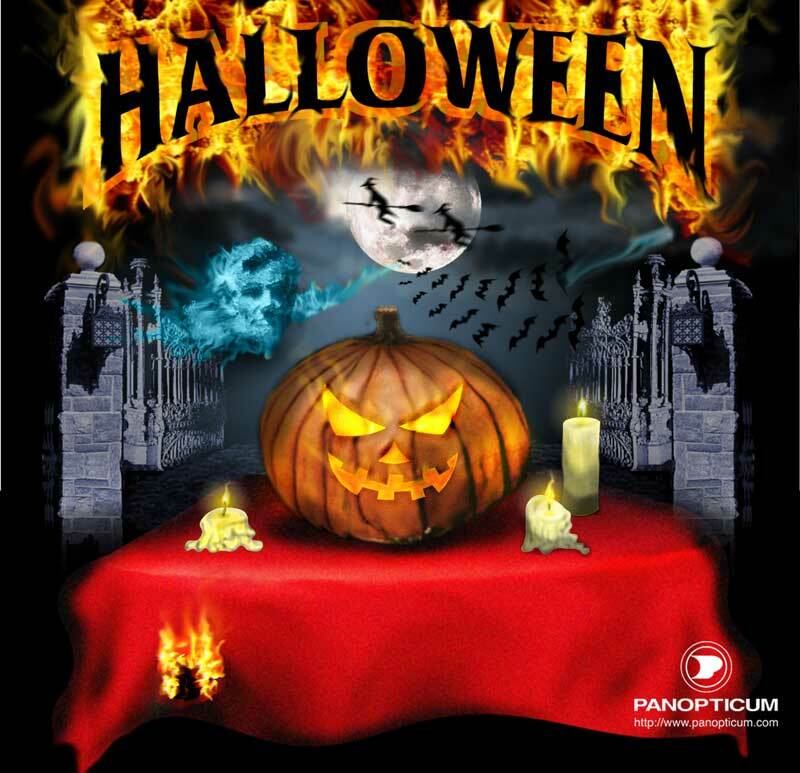 This is one that my friend from Ecka, Serbia used. I didn’t get a written review of the program from him, but I know he had an absolute BLAST in Minot, North Dakota. He was one of 10-20 other Serbs that were sent to the middle of the USA. He worked at Domino’s Pizza and Wendy’s for $9 an hour. He was able to travel to Las Vegas and New Jersey! Check out the site!!!! GREAT PROGRAM!!!! This is one of the recommendations I have had for a few of my Serbian adult friends and for friends from every corner of the globe. 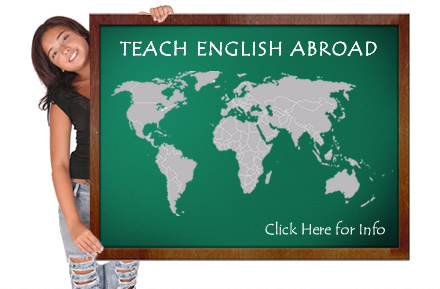 This is a teaching certificate course that will allow you to find teaching jobs all over the planet. I use mine to teach English in Mexico, and Serbia. I have been offered jobs in Mongolia, Taiwan, China, Myanmar, Turkey, Georgia, etc… Many of my Serbian friends have very nice American accents and a GREAT grasp for English grammar. I have two Serbian friends that are currently using theirs to teach in Thailand. The pay varies in every country… the same with the teaching requirements. Many countries require you to be from an English speaking country, but many Asian countries do not. This course can be taken online and at your convenience. You will pay from $150-$700 depending on which course you desire. It is best to take it at one of the many locations world wide. They range from $1000-$3000 dollars for course that last from 3 weeks to one month. It is a great way to see the world, make a difference, and make some money! I have a few other options, but I am waiting for additional follow up from participants. Thank you for your time. I hope it helped. Please message if you have any other travel programs that you would recommend or avoid. Pozdrav!!!!! I get all kinds of messages! I need to post more of them on here! Here are a few great travel stories from foreigners that traveled to Serbia and hated to leave!!!! This is a fellow North American that contacted me after reading my blog. THANKS RYAN!!! GREAT STORY!!!!! As I glided up the elevator at the Tesla airport, a few hundred dinars flew out of my pocket and I did not notice. As I continued out towards the taxi platform, a airport worker stopped me and returned my money he had picked up. I knew this was a sign that my stay in Serbia would be great and this was my first introduction to the amazing generosity of the Serbian people. I took a bus out to Novi Sad where I was greeted by my friend Milan (who I grew up with in North America) and his family. His family welcomed me like I was one of their own. They took my bags, his grandmother gave me a kiss,the rakia was poured and I started to eat one of the most amazing meals of my life full of Ćevapi and other Serbian dishes. The love and warmth I felt from these people was amazing. Coming from North America, it is safe to say the amount of consumption and excess is overwhelming. Also, the concept of family is often times pushed aside for personal aspirations. In Serbia, you are reminded of what is truly important: spending time with family and close friends. This is what made the biggest impact on me while I was in Serbia. To see how close families are and how generous they are towards each other was humbling and helped me realize that spending time with people who are close to you is truly the richest experience of all. The generosity of the Serbian people was felt throughout my whole trip. I attended Exit Festival at the Petrovaradin Fortress and met many Serbs from all over the country. They wanted to make sure I was having a great time and experiencing the “real” Serbia as it is often mis-repersented in the media and popular culture. Every Serbian I met wanted to feed me, show me around the city and offered me to stay with them, something that you do not experience everyday in North America. As Charles always points out, this generosity is what makes Serbia one of the most amazing places on the planet. I was also impressed with Serbians understanding of their history. Every Serbian will give you an in-depth history lesson on their country. There is no need to pay for a guided tour since every citizen is well educated on their roots. It was amazing to have a Pivo and sit back and listen to young and old tell stories of Serbia’s past and present. I felt compelled to reach out to Charles because what he is doing is important. He is encouraging people from all over the world to visit Serbia and see how amazing the people are. It is the people that make this country what it is, I cant stop telling all my friends about it. The next one is from a wonderful Polish gal!!!! Great story!!! She hated to leave Serbia!!! Thanks girl!!!! I am from Poland. My parents and friends had the same reaction as yours. My friends thought it was dangerous and my parents even thought it was the 3rd world. USA vs Serbia….. Comparing holidays…. I have been to many places and experienced very unique and unforgettable moments. Holidays and traditions are two things that I always find interesting. I thought it would be worthwhile to list the majority of holidays that are celebrated in the USA and Serbia. The United States of America is a country that is broken into 50 states and each has their own laws and implementation of holidays. We don’t have national holidays in which every employee receives mandatory days off. It is only mandatory for federal employees. Each state sets their own holiday schedule based on local customs. They have their own state holidays. Other informal, traditional or religious holidays celebrated in the USA…..
Valentine’s Day– Feb 14th…..celebration of love and romance. Palm Sunday– Sunday before Easter….. celebrates Jesus entry into Jerusalem. Rosh Hashanah– Sept or Oct varies…… Jewish celebration for beginning of High Holidays and Hebrew calendar new year. New Year’s Eve– Dec 31st….. Last day of Gregorian calendar year…. Three states celebrate Susan B Anthony Day… she was a prominent figure in the women’s rights movement in the USA. 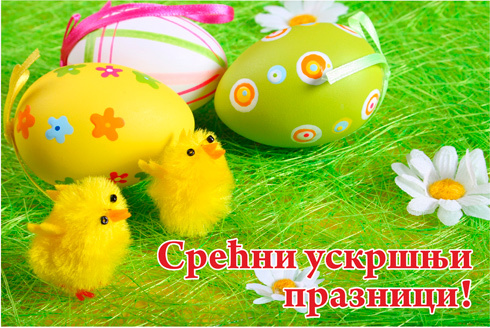 Only 12 states recognize Good Friday as a state holiday…..
Božić– Jan 7th….. pronounced (bozhich) this is Serbian Orthodox Christmas… it is celebrated on the 7th of Jan because of the use of the Julian calendar. Serbia is predominately Orthodox Christian but they have a large minority of Catholic and other Western Christian sects, a smaller Jewish and Muslim minority also…. 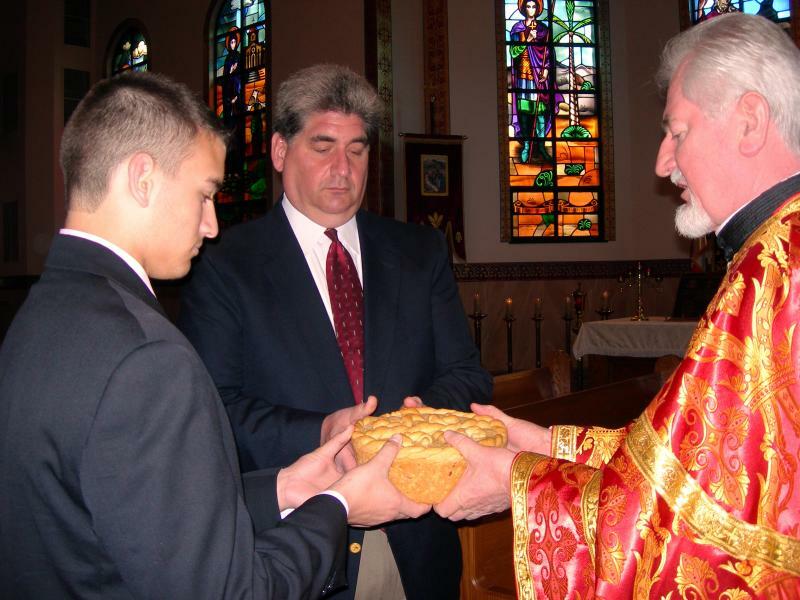 Here are a list of holidays and observances given to them…..
Sveti Sava– Jan 27th…..St Sava Day… he is known as the Patron Saint of Serbian schools.. all schools are closed on this day. Vidovdan– June 28th…… Saint Vitus Day…..remembrance of the Battle of Kosovo…. That didn’t seem like a lot of holidays did it??? I saved the best for last…. Serbia also celebrates hundreds of Slavas. That is the celebration of the families patron saint. It is called Krsna Slava in Serbian. I have tried to find the total number of saints but have never gotten a concrete answer. 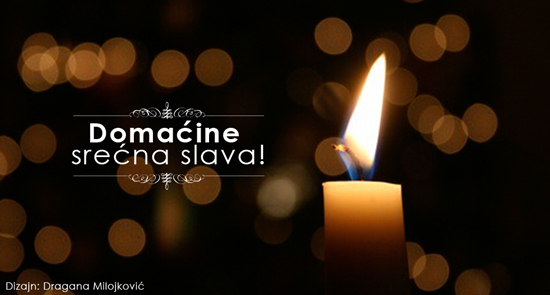 Slava is a very important celebration for Serbian Orthodox families. It has many wonderful, unique and traditional foods, songs, methods and decor… Here is a link to a Slava forum that can provide many answers and the ability to converse with those that have the knowledge on the subject!!! http://www.slavorum.com/index.php?topic=1001.0My experience was written about in a previous blog entry!!! My memories were of lots and lots of awesome food, traditional music, and the bringing together of family and friends!! It is a must for all of you traveling to Serbia!! There are Slavas all year round but the best are in the Winter time!!!! 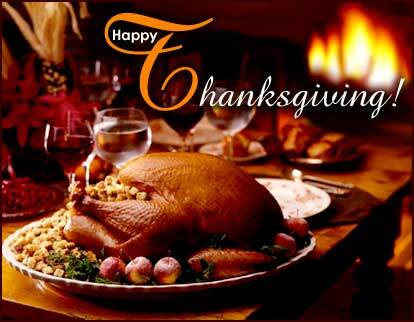 Both countries have great holidays and traditions!!!!! We all have more in common than our governments want us to think!!!! 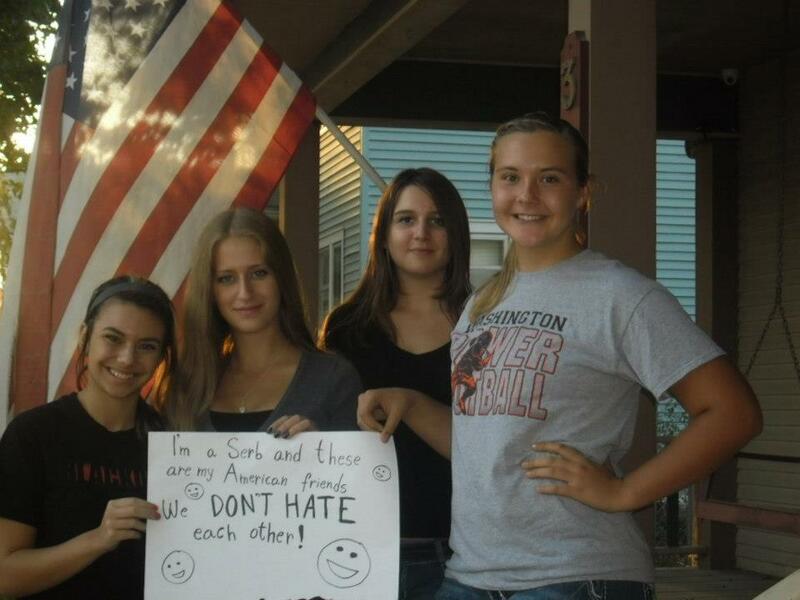 I wish I could bring all the Serbian kids to the USA and all the American kids to Serbia!! We would develop a life long love and respect for each others rich and beautiful traditions!!!! 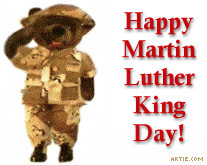 I am not a religious fanatic and have very little knowledge in the details of many of these holidays. Please understand that before you leave me a bad comment because I didn’t fully discuss something! This is a blog not a book and I don’t want to bore people with the tiny details.